My research integrates the biophysical, socioeconomic, and political components of human water use to inform sustainable water management. 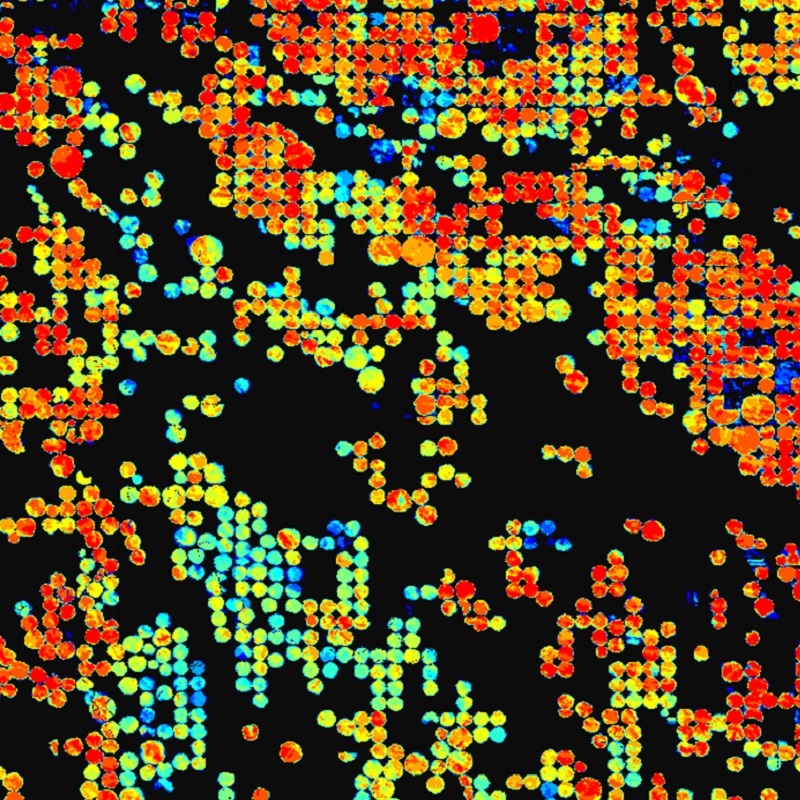 I use satellite remote sensing and economic data to drive physical models of human-water systems, including agricultural and urban water uses. These systems models are then used to understand human water use, governance, and the associated impacts on water resources. We produced annual irrigation maps for 1999-2016 in a large agricultural region using all available Landsat satellite imagery. 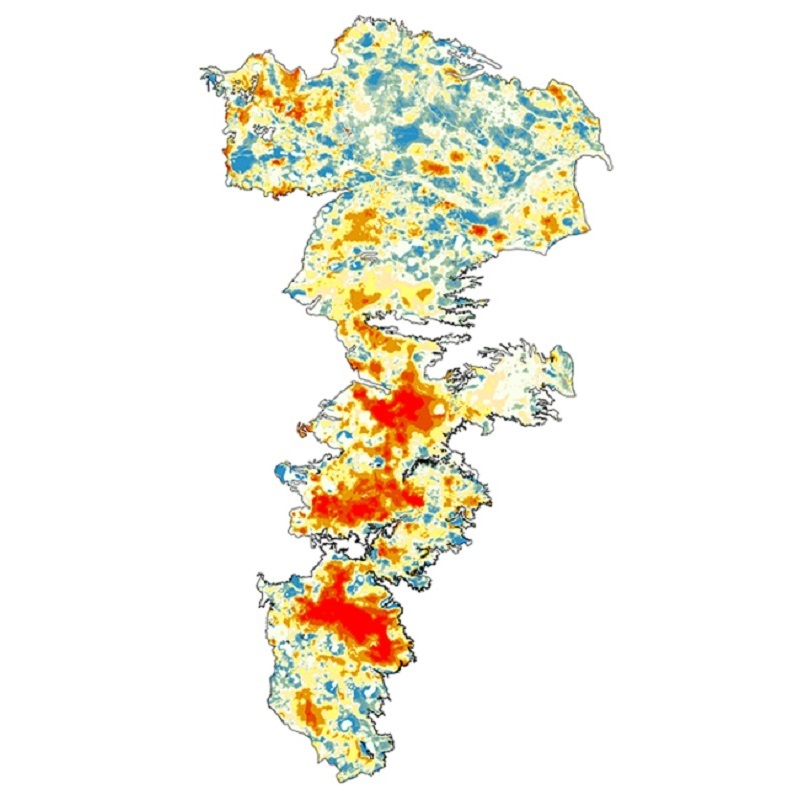 The dramatic improvements in spatiotemporal resolution compared to previous efforts allowed us to quantify trends and variability in irrigated areas, providing critical insights into behavioral responses to irrigation drivers. In Geophysical Research Letters, 2017. We discuss the major drivers that have shaped the history, and will direct the future, of water use in modern agriculture. Water management recommendations are made to balance farmer profit and water conservation to ensure future agricultural production. In Science of the Total Environment, 2016. Large cities source water from 41% of global land area while occupying only 1%. We analyze the complex interactions that result from this large-scale transport of water in Beijing using the new telecoupling framework. SF Ryan, JM Deines, JM Scriber, ME Pfrender, SE Jones, SJ Emrich, JJ Hellmann. Climate-mediated hybrid zone movement revealed with genomics, musuem collection, and simulation modeling. In PNAS, 2018. JM Deines, AK Kendall, DW Hyndman. Annual irrigation dynamics in the US northern High Plains derived from Landsat satellite data. In Geophysical Research Letters, 2017. DW Hyndman, T Xu, JM Deines, G Cao, R Nagelkirk, A Vina, W McConnell, B Basso, AK Kendall, S Li, L Luo, F Lupi, D Ma, JA Winkler, W Yang, C Zheng, J Liu. Quantifying changes in water use and groundwater availability in a megacity using novel integrated systems modeling. In Geophysical Research Letters, 2017. W Yang, DW Hyndman, JA Winkler, A Vina, JM Deines, F Lupi, L Luo, Y Li, B Basso, C Zheng, D Ma, S Li, X Liu, H Zheng, G Cao, Q Meng, Z Ouyang, J Liu. Urban water sustainability: Framework and application. In Ecology and Society, 2016. SJ Smidt, EMK Haacker, AD Kendal, JM Deines, L Pei, KA Cotterman, H Li, X Liu, B Basso, DW Hyndman. Complex water management in modern agriculture: Trends in the water-energy-food nexus over the High Plains Aquifer. In Science of the Total Environment, 2016. JM Deines, D Williams, Q Hamlin, J Liu. Changes in forest composition in Ohio between Euro-American Settlement and the Present. In American Midland Naturalist, 2016. JM Deines, X Liu, J Liu. Telecoupling in urban water systems: An examination of Beijing's imported water supply. In Water International, 2016. AM Deines, ME Wittmann, JM Deines, DM Lodge. Tradeoffs among Ecosystem Services Associated with Global Tilapia Introductions. In Reviews in Fisheries Science and Aquaculture, 2016. JM Deines, JJ Hellmann, TJ Curran. Traits associated with drought survival in three Australian tropical rainforest seedlings. In Australian Journal of Botany, 2011. JM Deines, JJ Hellmann. An assessment of invasion risk from assisted migration. In Conservation Biology, 2008. I first wrote this cheat sheet for myself in September 2014, but in an effort to collate my scripting references in one place, I’m transferring it to the website here. It therefore comes with a very heavy disclaimer that this is now 3 years old and there are very possibly better ways to do this now (the new feature in R Studio for new project > new package seems an obvious example). R Markdown has long been a key component of my research workflow, providing a legible “lab notebook” for my daily analyses. I’ve wanted to transition my Wordpress-based website to GitHub Pages for some time, preferably using R Markdown to better integrate into my workflow. I was pretty thrilled to discover the R blogdown, Hugo, and GitHub pages combination. I was able to set it up in an afternoon, and I have high hopes that it will be a good system to allow me to share my research and analyses with a broader audience. Sustainability of irrigated agriculture in the High Plains Aquifer external link. Google Earth Engine Tutorial: Geohackweek 2017, University of Washington. Tutorial available here. © 2017 Jillian Deines · Powered by the Academic theme for Hugo.